Your computer doesn’t have a mouse. Your computer still has a floppy drive. Your reports print on greenbar paper with tractor feed holes down each side of the paper. You have to run a 700 page report just to see the totals you need. Reports take more than a few minutes to run – in some cases, hours. You are frequently asked to close Windows because you are locking other users. 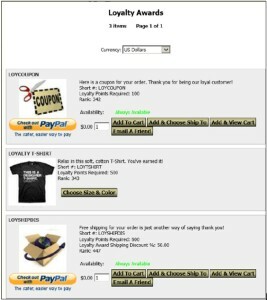 You often have to tell customers to call back tomorrow because you can’t see the order they placed on the website yet. Your inventory is never accurate. The totals on your accounting reports don’t match. 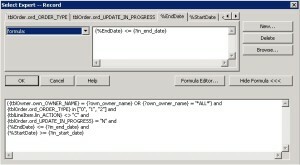 When Crystal Reports runs a report, it retrieves as much information as it can from the SQL Server and brings it back to the local machine to finish processing. Depending on the complexity of the report, this can mean a lot of processing taking place on your PC. As your database grows, you may notice that your reports aren’t running as fast as they once did. 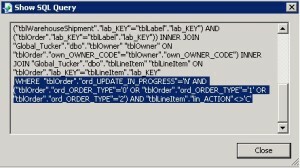 One way to speed up the running of a Crystal Report is to push as much as possible of the work down to the SQL Server. There are a number of different ways to do this, not all of which we’ll discuss here. If you have a SQL professional in-house, you may choose to write the entire report selection as a SQL stored procedure or view and just using Crystal Reports as a viewing interface to display the results. If you’d rather keep the “building blocks” of the report in Crystal Reports, make sure your record selection is done wisely; don’t use formulas or data conversions on fields within the record selection. 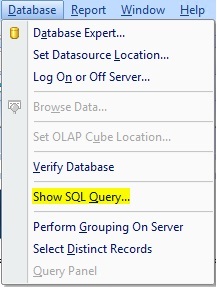 You can tell you’ve done this when you see most or all of your record selection in the WHERE clause of the “Show SQL Query” menu option. Here is an easy example using dates. 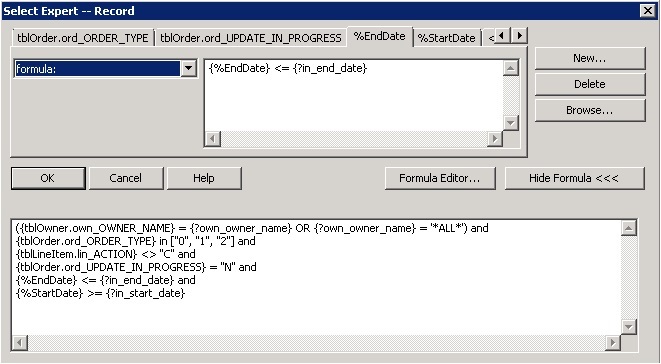 For most reports that have a date selection, you only want to choose a beginning and ending date, not date/time. But, most date fields in InOrder are date/time fields. 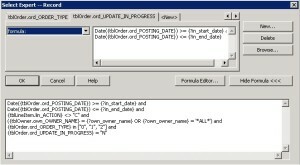 Comparing date to date/time is a data conversion. 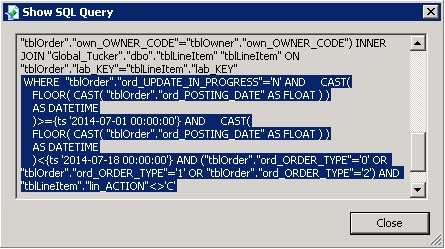 Here is its corresponding SQL Query. 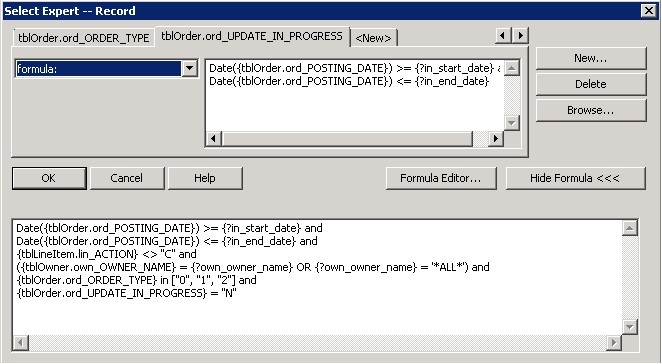 Note that it is not asking SQL Server to do any filtering of the results by date. Now here is the same record selection using a SQL Expression. Here is the corresponding SQL Query. It’s asking SQL to do the work to filter by date. 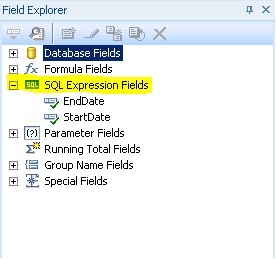 You can make your own SQL Expression to carry out calculations and conversions in the Field Explorer of Crystal Reports. Any time you need to use a formula or data conversion for record selection, sorting, grouping, or totaling – you may want to consider building a SQL Expression instead. As we previously said in our article about generating income with your ERP system, promotions provide incentives to customers for ordering, or for increasing the size of their orders. For example, you might include a free item with every order over $100. Promotions can also be used to entice customers to buy from other product categories they have not tried yet, or to test prices and new product offerings. Use promotional shipping charges to offer free or discounted shipping for an order. Offer buy-one-get-one sales. These are popular ways for customers to buy two gifts for less, or give a gift while shopping for themselves. Encourage customers to spend more using tiered discounts. For example, give a 5% discount to customer who spend $50, 10% discount for spending $100, etc. Offer discounts on items related to each other when they’re bought together, such as batteries or cell phone accessories. Host a sale for a preferred group of customers. Send an Email with exclusive access to the sale. Use InOrder to easily tailor promotions to your business. Keycodes, which are uniquely connected to mailing lists used in promotions, may be used with Google click-tracking. You can use this to track the links clicked by your customers from Email messages you have sent to them. 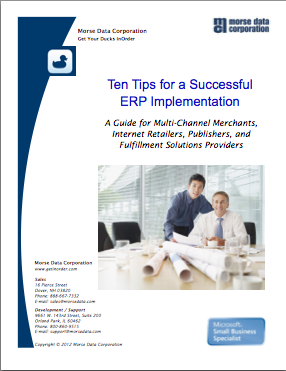 Loyalty Programs continue our series on 5 ways to generate income with your ERP system. Loyalty programs give customers incentives / reasons to buy. They bring customers back so they buy more and buy again. You can even offer points for sale. There are many, many possibilities. With InOrder, the loyalty earning level for an order can be changed while editing the order. Points are earned and redeemed by placing an order. 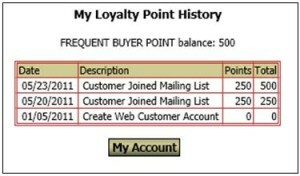 When a loyalty award is added to an order, the points are instantly deducted from the customer’s loyalty award account. You can give your customers choices, and redeem points in the form of free merchandise, dollar amounts, merchandise credit, and shipping discounts. Points can be awarded based on dollars or using resolutions based on quantity. Award points for the items of your choice. Assign earning levels based on customer types and order classes. Points may be manually overridden. Points are awarded when the order posts. Points may or may not expire. Identify the awards to offer. Track point balances and redemptions. 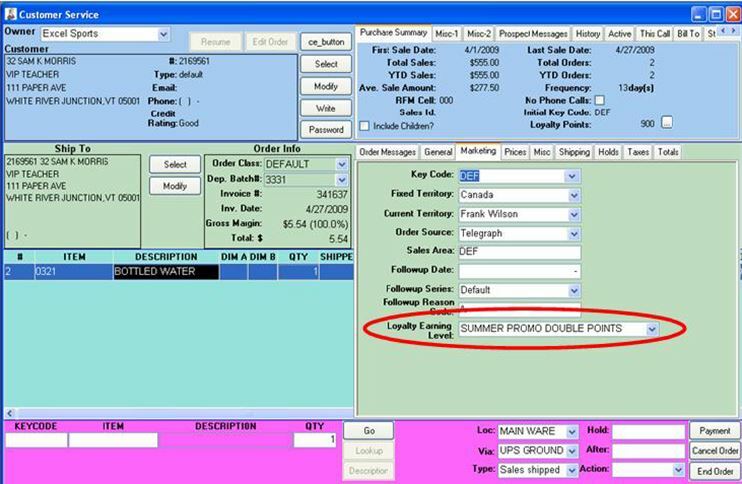 Reports list each customer’s loyalty point balance and point redemptions for a date range by inventory item. Customer service reps can view earning details, balances, and access orders/transactions that generated or redeemed points. 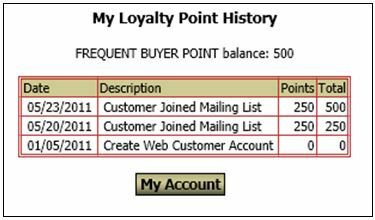 Customer may view their point balance and history on-line.